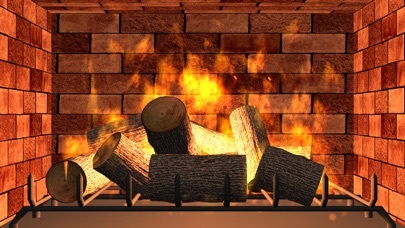 The best 3D simulation of a fireplace available! Includes dynamic controls to stoke the fire and adjust flame intensity. Runs perfectly on your iPhone, iPad, and Apple TV. 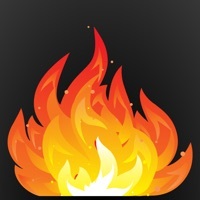 Includes the awesome full-stereo fire sound included in our White Noise Pro application. Do you enjoy sitting next to a nice crackling fire? Now you always can! No need to chop wood, roll newspaper, and find matches because Eternal Fire will never go out! 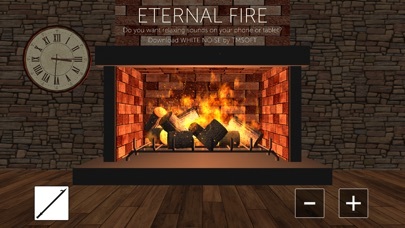 Eternal Fire includes these great features: - Perfectly looped stereo audio - Advanced 3D simulation of fire using game engine technology - Stoke the fire to reposition the logs - Adjust the fire intensity with the + and - buttons - Optimized for iPhone and iPad Eternal Fire was recommended as a Fun and Festive Novelty Holiday App by Annie Gaus from Revision3's Internet Television Show App Judgement! (Episode 56: Fun Holiday Apps for the iPhone) If you want to try more relaxing sounds then download the free version of White Noise at http://app.tmsoft.com/whitenoisefree/ Enjoy your Eternal Fire! Duck Run - Flappy Bird Fun!